4 Tips on How to be Consistent With God. In this world we’re living in everything seems to be happening so fast. We get so busy, life is hectic, we get torn from one thing to the other and our lives are just scattered everywhere and we forget to check in with God. It’s very important for us to check in with God consistently. When you are consistent with God you will always keep away the chaos but when you are not consistent with God you will always walk in the flesh, you will always be stressed out and frustrated because you are not connected with your Father God. Your spiritual antennas are dead and you cannot think right or make the right decisions when it comes to your life. That’s why you need to be consistent on a daily basis through prayer, fasting, reading God’s word on a daily basis because life will throw you an unexpected curve ball and you got to be ready for a fight because you don’t want that chaos to take you down. Remember to stay focused and consistent with God. Here are 4 tips to Help you stay Consistent with God. Pray without ceasing no matter what. In good times and in bad times stay prayerfully consistent. The enemy is not just going to sit there and watch you enjoy your peace and just let it happen. Don’t mistake the devil’s patience for your peace. Remember the devil does not want you to succeed, he does not want you to have peace, so you have to be a thousand times ahead of him and destroy his plans against you through prayer and fasting by breaking down every stronghold that would clutter your mind, that would stand in your path and try to attack your family. You have to stay in the throne room of God and pray against every attack of the enemy that is seen and that is unseen because through daily prayer with God you are going to keep away the chaos from attacking your life. Don’t get comfortable with in peace when the your enemy is being patient. Sometimes the enemy will be patient with you and let you get so comfortable in peace then he will attack. Just because you don’t see him striking against you yet, it doesn’t mean that he’s not working against you. Even when everything is going smooth in your life do not give up the fight always stay vigilant with prayer and perseverance. The enemy is roaring like a lion looking for who he might devour. When you put your guard down because you see that there is peace and everything is going good please don’t. Keep your eyes focused on God, keep connecting with God and do not lose focus. Always check in with God at all times. When chaos shows up and you didn’t expect it but you have been connecting with God it will not affect you as much because God is your present help in times of need, He will protect you and cover you because you have been checking in with Him. Never lose your connection with God it’s your shield against the chaos of this world. 3. Renew your mind daily with the word of God. The word of God is a weapon against the enemy. Many times the enemy will get us to get so busy, entangled into our daily routines, activities, our daily assignments, plans and appointments that we forget to check in with God through His word. The enemy will use your busyness against you and he will overwhelm your spirit and cause you to be lazy to read the word of God. You have to check that! remember you will overcome by the power of your testimony and God reminds us of that through His promises that are in His word. Every answer that you’re searching for is in God’s word.Through His word He will grant you peace. Take time out of your busy schedule every single day and read a chapter a day or even a verse, meditate on God’s word and let it speak to those places in your spirit because God’s word will renew your mind. When you read the word of God, you actually putting on the mind of Christ and so the enemy cannot attack you. The devil is afraid of God’s word because he knows it destroys his kingdom. Don’t let the busyness of your world hinder you from daily checking in with God because through doing that you are keeping away the chaos, you keeping away the pain, you are keeping away your enemies and God will fight for you on every side. If you are like me and you love worship this is also a perfect example to connect with God and check in with Him. When you worship and recognize who God is, you are inviting Him into your situation. This should even come easy and should be apart of your daily routine, when you’re driving on your way to work play the worship music let it feel every fiber of your being, when you are at the house or you’re doing your chores or whatever it is have the worship music on because there’s something that happens when the presence of God feels the room. Worship changes the atmosphere and feels it with God’s presence. When we worship God, we are actually inviting Him in our Hearts and letting Him know that He is worthy, we cannot imagine our life without Him and we trust Him. Worship should be an honor, privilege and great opportunity to tell God how much we love Him. Through worship chains are broken, hearts are restored, demons flee, the sick become healed and miracles happen when you worship God and chaos is no more because in God’s presence there is freedom and there is fullness of joy and peace that surpasses all understanding. Consistently worship and connect with God and you will keep away the chaos. 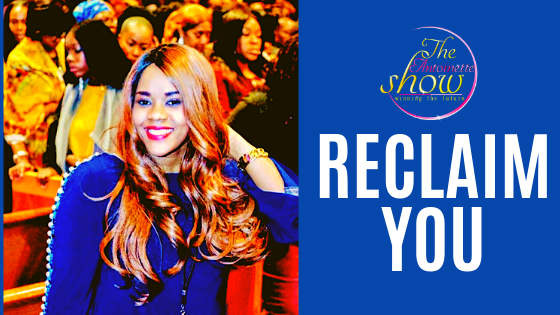 Antoinette’s purpose is to inspire and motivate you to pursue your dreams, live a life of purpose and walk into your destiny and win in every area of your life doing it God’s way. Previous Previous post: 8 TIPS ON HOW TO DREAM AGAIN! Next Next post: God favors you! 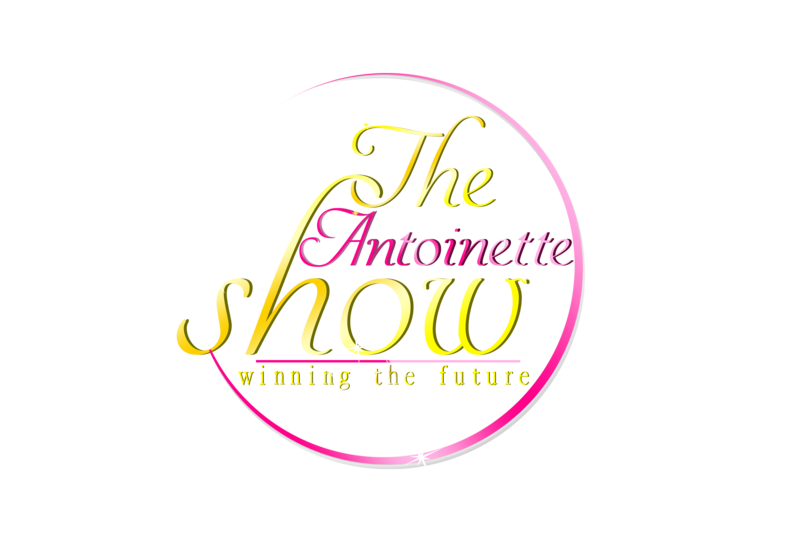 Subscribe and Follow The Antoinette show to receive all new posts, news, freebles direct to your email. Worry ends when faith begins! 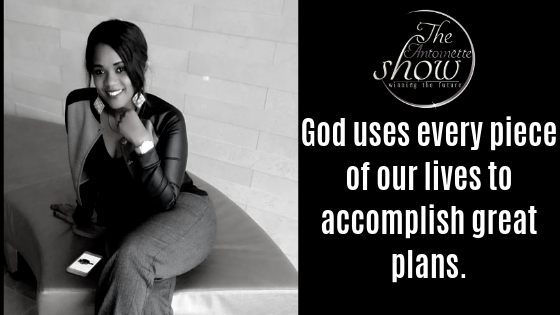 God uses every piece of our lives to accomplish great plans. 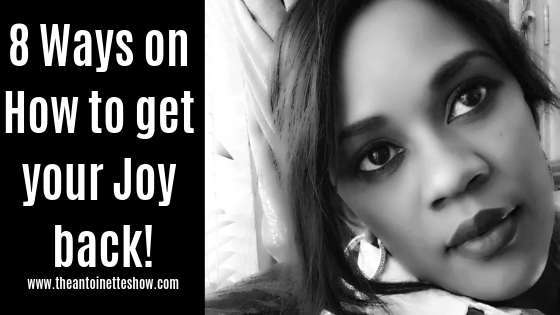 8 Ways on How to get your Joy back! 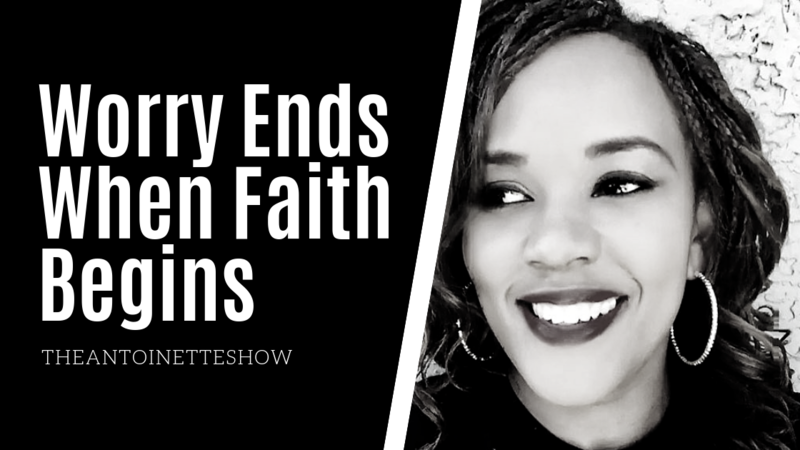 Worry not but in all things give thanks...#inspiration #motivation #empowerment #faith #begrateful #trustgod #doitgodsway #theantoinetteshow for more inspiration and motivate click link in bio!!!! 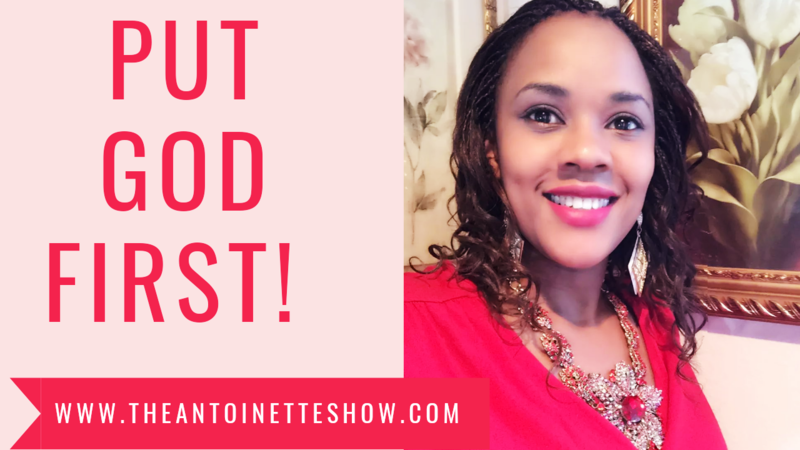 The Antoinette Show 4 Tips on How to be Consistent With God.